Last week, I discovered a surprise package on my door step that just happened to be from my sister-in-law. Inside contained these six beautiful sheets of decorative paper from Paper Source, one of my favorite stores, as well as a sweet card. I was so touched by the random gesture and found encouragement and inspiration to create some lovely paper crafts. 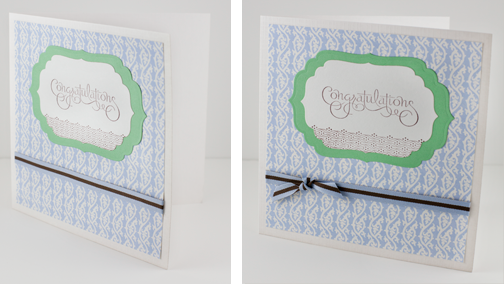 I used the very pretty periwinkle and white scroll paper to make an elegant wedding card for my cousin. 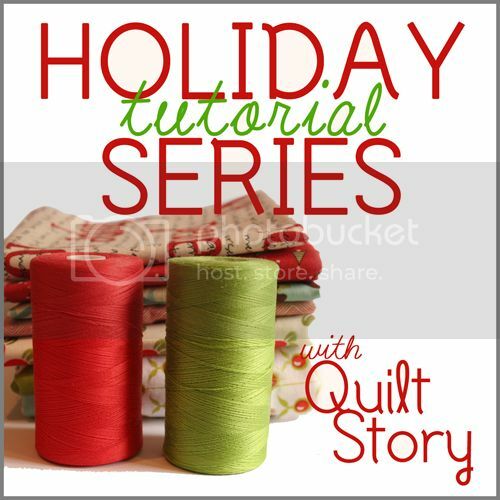 I've created step by step instructions for you to create your own. 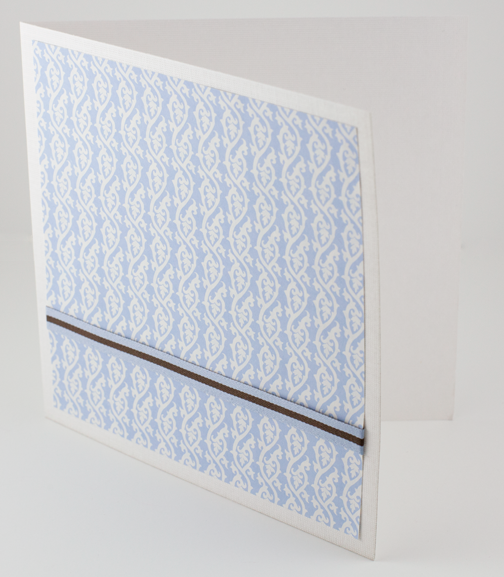 * If you have card stock to match the color of the envelope, then you only need one envelope. 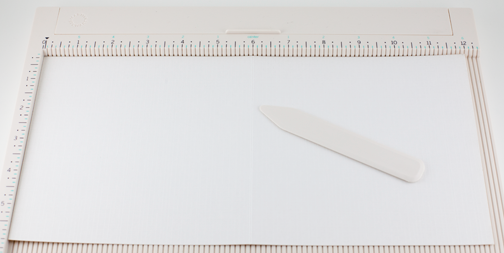 Step 1: With the 12" x 6" white textured card stock, score a line at 6" down the middle of the sheet. 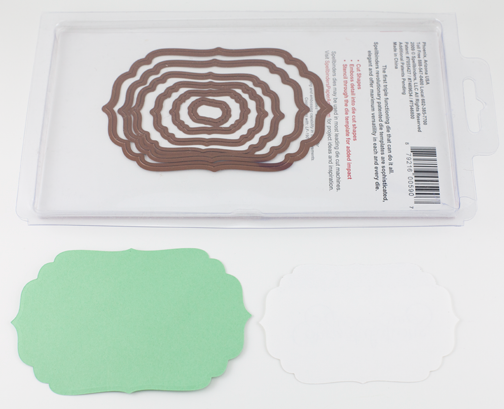 Step 2: Fold card stock in half so the fold is on the left-hand side. It now measures 6" x 6". Step 3: Now you will adhere the 7" long ribbon to the decorative 5.5" x 5.5" paper. Apply a small strip of mono adhesive to the wrong side of the ribbon in the middle. Center and press the ribbon, right side up, onto the right side of the decorative paper approximately 1.25" from the bottom. Step 4: Wrap the ends of the ribbon to the back side of the decorative paper and adhere with tape. 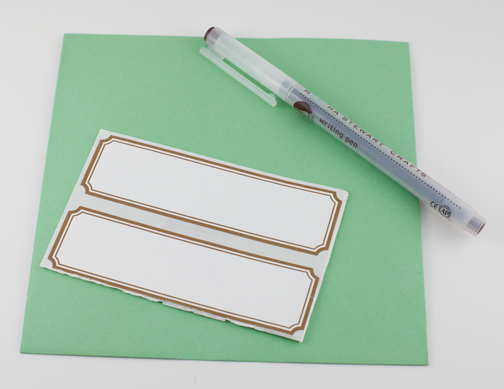 Step 5: Apply tape along outer edges and some to the middle of the back side of the decorative paper, then apply it to the middle of the white card. 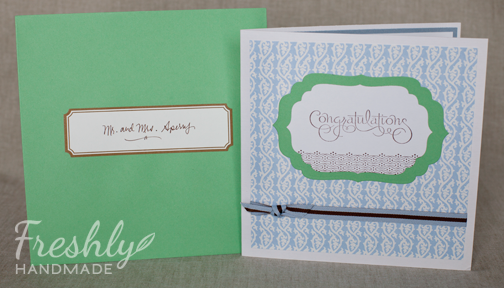 Step 6: Using the largest label die, cut out a green label from either scrap card stock or your second envelope. Follow the manufacturer's instructions for cutting dies on your die cutting machine. 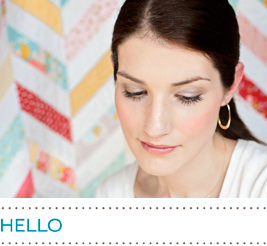 Using the second largest die, cut a white label from your scrap card stock. Step 7: Stamp your sentiment and decoration onto the white label with dark brown ink. I used stamps from "Well Scripted" and "Fresh Vintage" stamp sets by Stampin' Up! As an alternative, you can use your computer to lay out a design, print it out and then die cut the label after. Step 8: Apply double stick/mono adhesive to the back of the white label and apply it to the center of the larger green label. Do the same for the green label and adhere it to the decorative paper. Step 9: Make a bow by taking the shorter ribbon and slipping one end under the horizontal ribbon on the card. Tie the two ends together. Trim ends on an angle. 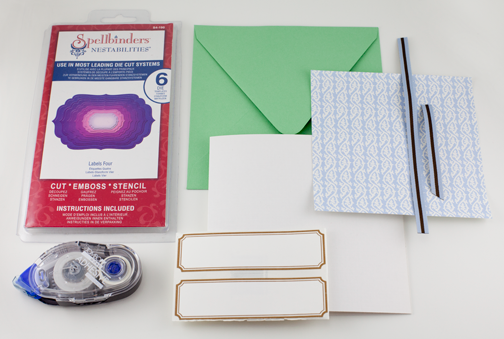 Step 10: Address the label to the lucky recipients and adhere it to the front of the envelope. Your name on the back of the card that says, "handmade by (your name". More card stock to the inside of the card. I like to do this for greater structure. 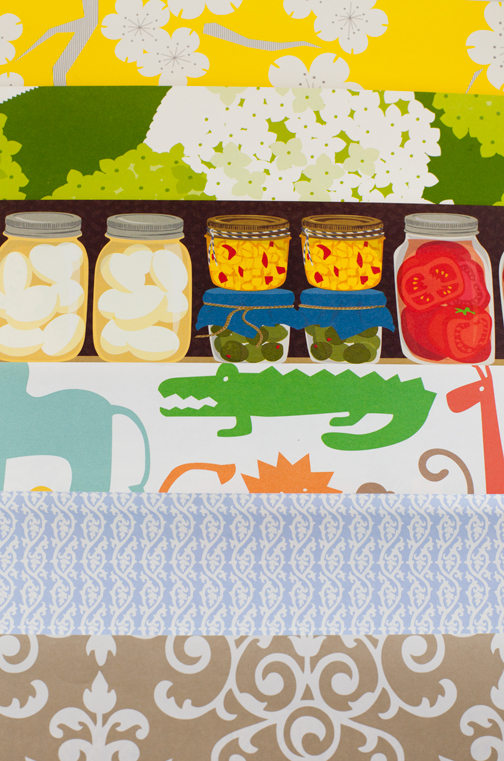 Typically, I layer with one or two smaller sheets. 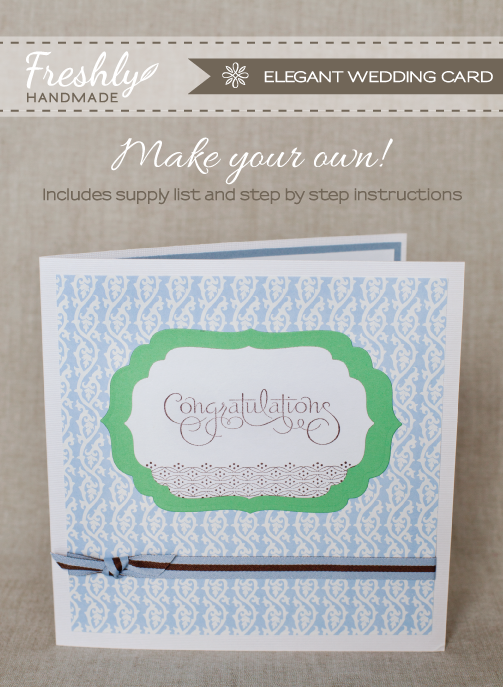 This design can be easily adapted to include different colors, papers and sentiments. Try it out and make it your own. Beautiful! It looks elaborate but when you break it down step by step, seems very do-able.